Altech Security Ltd - Alarms/Security based in Walton on the Hill, Surrey. 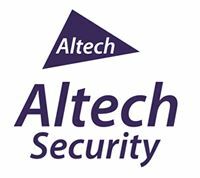 Altech Security Limited is a family run business which was formed due to the demand for a local, respected and personal service that specialises in the installation of high quality monitored wireless or hard wired intruder alarms, CCTV and door entry systems. Our aim is to offer a professional, personal and friendly service. Our fully vetted and experienced engineers are able to tailor a security system to meet your exact requirements. We also offer a 24-hour emergency call out service. We cover the Surrey area including Wimbledon, Sutton, Wallington, Carshalton, Epsom, Tadworth, Kingswood, Banstead, Reigate and surrounding areas in London and the South East.